Countless neurosurgeries worldwide are performed on surgical microscopes from Zeiss – and for good reason. They are designed to suit the high demands of neurosurgery. 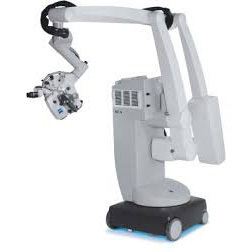 Optical precision, flexibility and ease of use in neurosurgery provided by surgical microscopes from Zeiss. We welcome you to browse our inventory and contact us to learn more about our extensive Zeiss technology and services. Thank you for considering Arris Medical Systems.